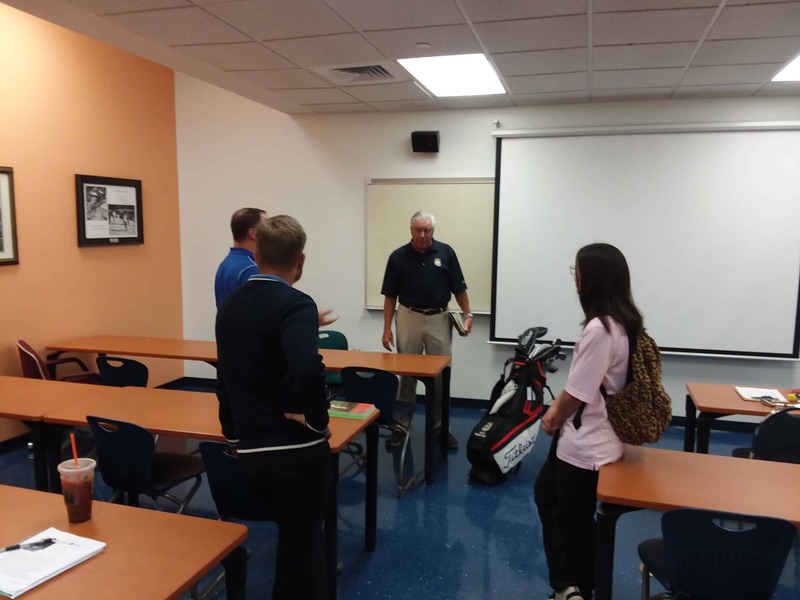 Professor John Callahan’s Introduction to Golf Instruction class recently had the opportunity to learn from Master PGA Professional Rick Martino. Among many other distinctions, Martino is a member of the College of Golf Advisory Board, a former PGA National Teacher of the Year, a Golf Magazine Top 100 Teacher in America, and a Golf Digest Top 50 Teacher. Mr. Martino had the College of Golf students fully engaged throughout his presentation as they learned his perceptive on the learning process and how it affects golf instruction. The question and answer session at the end of Mr. Martino’s presentation only ended because a subsequent class needed the classroom space.